The automobile industry continues to develop and release newer models of vehicles over the years. At the same time, more and more brands companies have started to emerge. 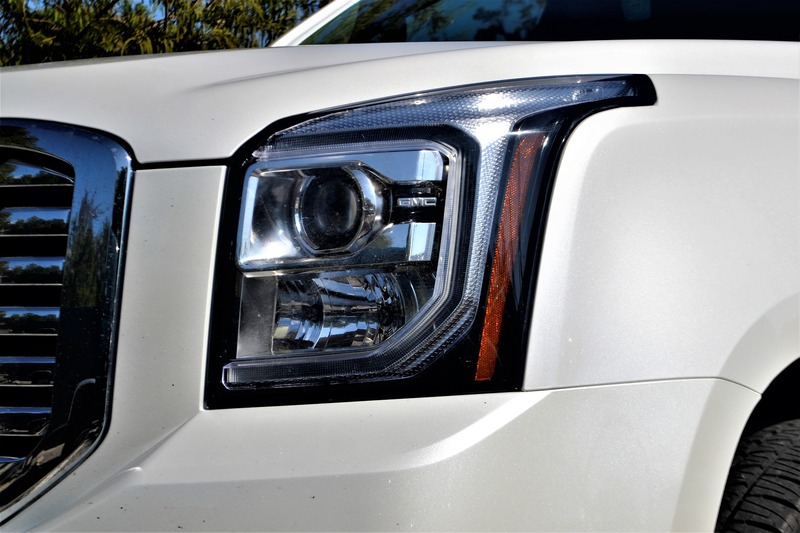 However, there remain the strongest brands, including the GMC and Chevy. Despite their strong popularity, however, the GMC and Chevy cars are constantly the subject of confusion due to their similarities. This is quite understandable as Chevrolet trucks and pickups are also being manufactured by General Motors. 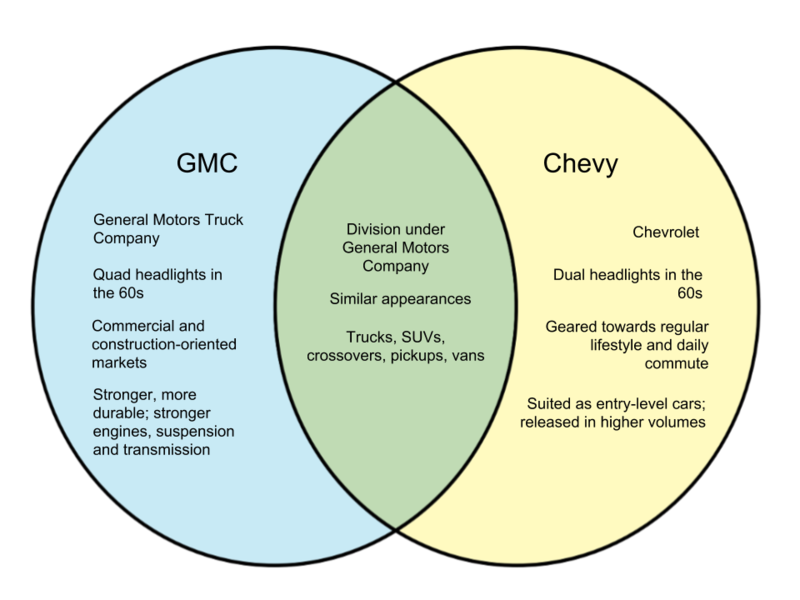 Here we will illustrate the difference between the GMC and Chevy. GMC stands for “General Motors Company,” and is America’s largest automobile manufacturer. There are different brands under General Motors such as Buick, Cadillac, Chevrolet, and the brand after its own name, GMC. In this article, we will be referring to GMC as the brand/division under GM. In the 1960s, GMC trucks were distinguishable through what were called “quad headlights,” but the variation eventually disappeared by the 70s. By the 1980s, the trademark quality of GMC trucks were their strength and durability, as they were marketed for commercial and construction-oriented markets. Stronger engines as well as upgraded transmission and suspension helped the GM trucks achieve this objective. At present, GM vehicles continue to hold this standard through stronger wheel axles and suspension as well as superior braking systems. GM vehicles also tend to cost more than its Chevy counterparts due to the higher extent of quality control costs spent to ensure its durability. Chevrolet is also known as “Chevy”, and is another division under the General Motors Company. While GM trucks boasted quad headlights in the 60s, Chevrolet distinguished itself with dual headlights. By the 80s, the target market for the two brands had become different. While GMC focused on markets looking for sturdier cars, Chevrolet made its mark as a distributor of vehicles suited for daily commute. While GMC marketed more options and features, Chevrolet was preferred as an entry-level car and are sold at relatively higher volumes to dealerships. Additionally, Chevrolet offers a wider range of vehicle types like sedans and subcompact cars.